Is the tiny house movement really a movement or just a fad? I’ve been swept up in the Tiny house movement since I first REALLY looked into. If you’re not familiar with tiny home living or the tiny house movement, or perhaps if you’ve prejudged it like I had, I encourage you to take a closer look and really try to get a feel and understanding of just what it’s really about. The Tiny House Infographic below was from 2013 (the 2015 survey is underway now!). The bottom line is, the Tiny House movement and Tiny Home Living is a big deal. 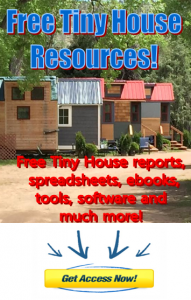 Did any of those Tiny Home Community facts or figures surprise or shock you? Let me know in the comments below!